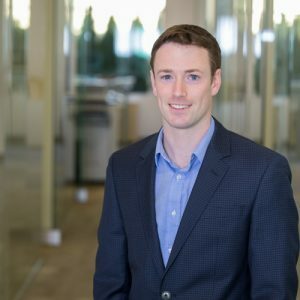 Kyle joined First Western Properties in 2016 after working on property acquisitions for a Seattle development firm. Prior to the development firm, Kyle gained experience in retail property management and running his own business. With a focus on both landlord and tenant representation, attention to detail and being creative set him apart. A few notable clients include: Mora Ice Cream, Mongolian Grill, Industrious CrossFit, and Alberto’s Mexican Food. He values the integrity and family atmosphere of working at First Western Properties. Being a Seattle native, Kyle enjoys spending his time with friends and family outdoors. In his free time, you can find him climbing mountains, skiing, or mountain biking in the Cascades. He also enjoys traveling the world with his fiancé.